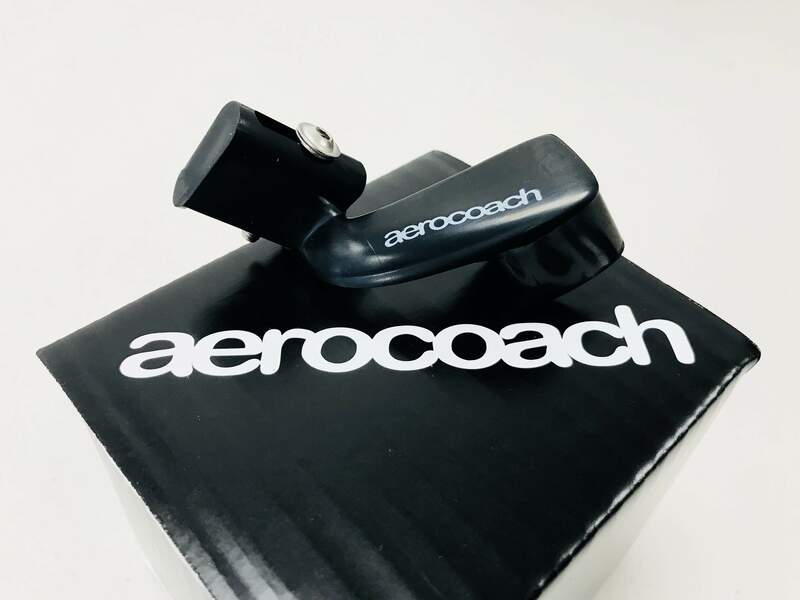 A perfect complement to the AeroCoach ARC chainring for riders who have non removable front derailleur hangers or who race on very broken road surfaces, the AeroCoach Affix chain guide is an aerodynamic alternative to a front derailleur! 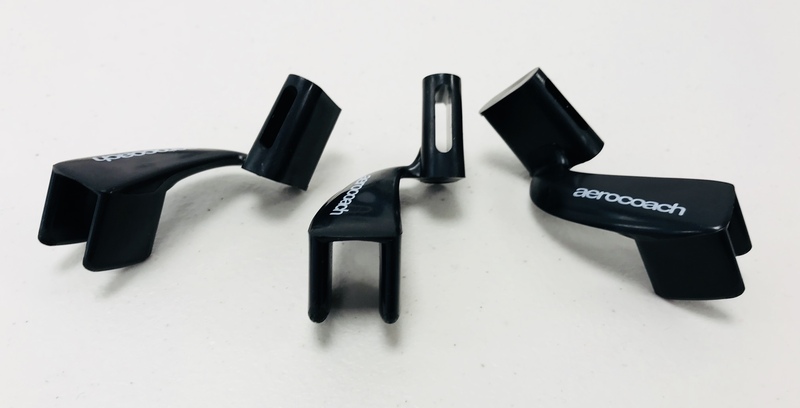 The injection moulded Affix has a an angular range of adjustment for chainline and fits all standard braze on mounts. Suitable for large chainrings (58t+) as well as standard 50-54t rings. Comes with bolt and mounting instructions. 1x specific chainrings are recommended, not the use of standard chainrings (eg. Shimano\/SRAM). 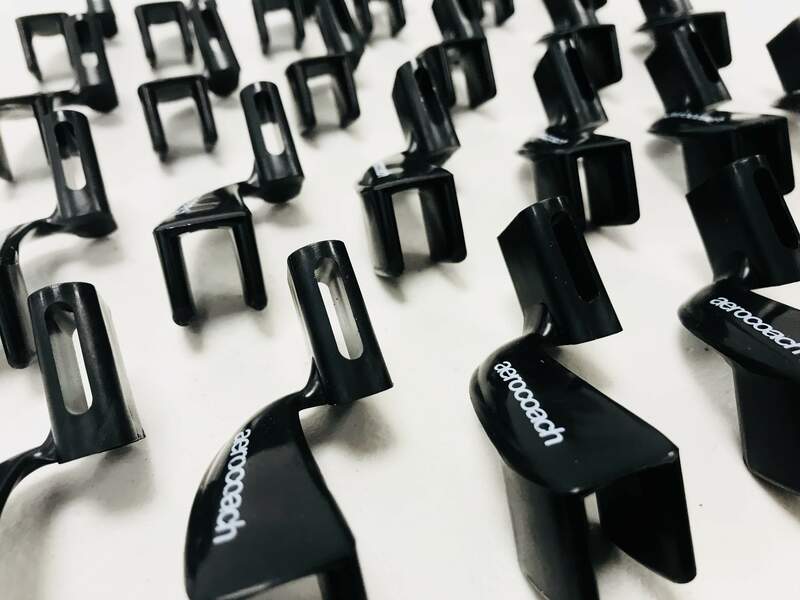 The injection moulded Affix has a an angular range of adjustment for chainline and fits all standard braze on mounts. Suitable for large chainrings (58t+) as well as standard 50-54t rings. Comes with bolt and mounting instructions. 1x specific chainrings are recommended, not the use of standard chainrings (eg. Shimano/SRAM). Replacing a front derailleur with an AeroCoach Affix will save 2-3.5w, and only incurs a 1w penalty over no hanger. * Based on residence in United Kingdom. Tax rates for other countries will be calculated at the checkout. Price exclusive of tax: £27.92.